The Secret of Monkey Island. Haven't played this one in an age. Ever since finishing Sonic Mania, nothing really. Been playing older classics like Power Stone 2 on Dreamcast, and starting a new game in Fatal Frame 5 (Maiden of Black Water) for Wii-U. Have you tried I Am Setsuna yet, Mikoto? Forgive me if you mentioned it before, haha. It's a really good old school style RPG! Grab it for either PS4 (recommended) or Nintendo Switch. No I haven't yet D: but I just looked up some images for it and looks very fun! I have a PS4 so I'll see about making it my next game pick-up! I sorta dropped OW, it was way too hard ... I'm not the greatest at FPS games -_- I'm now playing games on Steam, continuing CrossCode where I left off! Never tried CrossCode before. What's it about? All I've ever heard was that it was underrated. Before I look up gameplay footage on YouTube, can you tell me about it first? I'd rather go into the trailer/gameplay having some friend recommendation attached to it. Playing some low-intensity games like Warriors Orochi 3 and Final Fantasy XIV. I need something non-immersive so it doesn't take up all my time. Aww! After watching the footage, I decided to play it! Radicals amazing ability to capture facial expressions was a nice touch. And omg...Lea and Emilie are just the cutest!!! The sprite work in the game is excellent! On the level of Sonic Mania's work, imo. Just clean, sharp and improvement on sprite design compared to the glory days of the 90s RPGs. It is a tough game, though. I prefer the more slow paced style of I Am Setsuna, but CrossCode was a fun experience! Thanks for introducing me to it, Shadow, I appreciate it! You're welcome ^^ I found it a little hard as well at some parts, which was my biggest turn off. I'm glad overall that I switched up to Gravity Rush 2, because that game I can't get enough of it, and I seem to decent at it as well! Currently playing Uncharted: The Lost legacy on the glorious PS4. The Uncharted games were never my cup of tea, to be honest. But in this game you take control of Chloe Frazer, which made me SO happy. I LOVE her sassy self! Not only that, your sidekick in Nadine! Making the adventure even better! It's been so much fun, but I have a long way to go! Good for you, Mikoto. Always stick to the game you have most fun with. Most gamers raise their own blood pressure by trying to beat stressful (and long) games. Fun comes before work, and your game should not feel like work! Haha! Luu Sky Sapphire wrote: Currently playing Uncharted: The Lost legacy on the glorious PS4. The Uncharted games were never my cup of tea, to be honest. But in this game you take control of Chloe Frazer, which made me SO happy. I LOVE her sassy self! Not only that, your sidekick in Nadine! Making the adventure even better! It's been so much fun, but I have a long way to go! Very true, Gravity Rush 2 did not feel like much work too me. It's really fun. I haven't been gaming much lately though due to entertaining a 2018 Anime Watching Challenge. I did end up getting Xenoverse 2 though after getting caught up in Dragon Ball Super! I'm currently playing Xenoblade Chronicles 2. It's a shame I can't just binge-play this game like I did with the first one. I should probably explain why this is the case, but I'll probably mention something about it in a different thread. I love one of the character designs in this game so much I think I have a crush on one of the females in the game. Nice! Isn't Xenoverse the series where you can create your own character, and combine existing Dragon Ball characters? I'm not a fan of the franchise anymore (and this may seem a bit off topic...), but did you know Dragon Ball Super is about to go on hiatus? A lot of the fans are freaking out over the news. 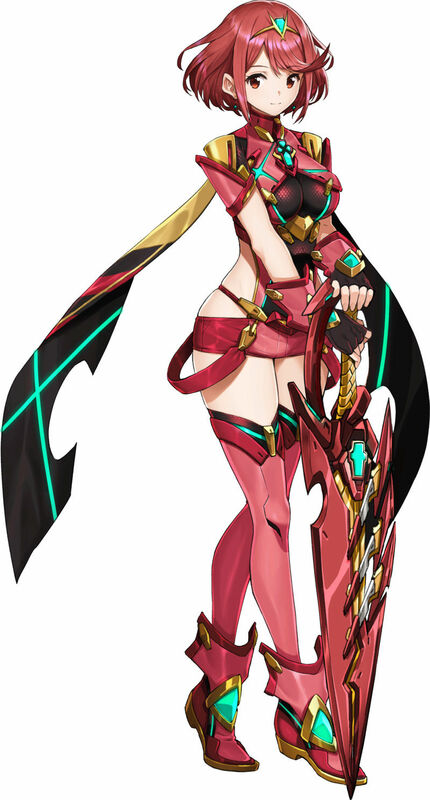 Lerena wrote: I'm currently playing Xenoblade Chronicles 2. It's a shame I can't just binge-play this game like I did with the first one. I should probably explain why this is the case, but I'll probably mention something about it in a different thread. As much as I loved the first game on Wii-U, I don't think I can binge the second game. XD Playing the original was a lot of fun, but exhausting. Maybe it's harder for me to play these types of games at my age due to priorities and lack of time. But when I sit down to play something that requires a lot of grind and slash, I find myself not accomplishing as much as I'd like. 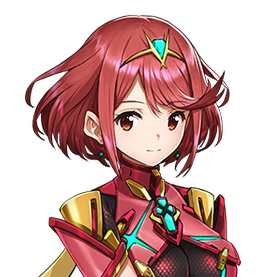 Pyra. I love her character design. Not bad, Lerena! She's really pretty! Been playing MonHun World in the little free time I have between classes, jobs, and progressing on translation side projects - it's a great game, lot of fun! I love that you can create little cats, too. (*≧ω≦*) They're called "palicos", which is the best combination of lame and genius that all of the best puns have. 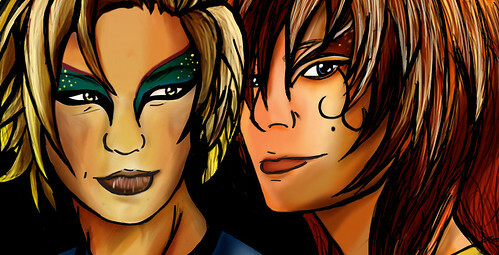 This is my main character... Heh. 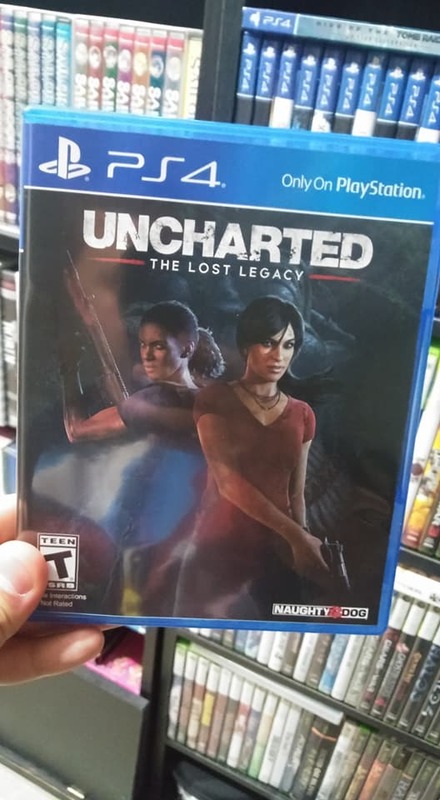 Playing what classic games here and there, while continuing my game in Uncharted: The Lost Legacy. I'm also planning on playing the entire campaign of the Tomb Raider reboot from 2013 in honor of the movie coming out this March! The film is based on the 2013 reboot, so I want to get into the mood. Plus I have a friend who has never played the Tomb Raider games. I'll be playing the campaign while she watches so we can get her into this movie properly. Watching the original two movies with Angelina Jolie don't help much. Alicia Vikander is going to make us forget about Jolie's performance, trust me on that! I am excited about Sega's recent trailer for the U.S. release of Shining Resonance Refrain! SEGA is great at taking overlooked PS3 titles and giving them the HD spit shine they need. We needed another entry in the Shining franchise for the modern gamer, and I'm glad they've chosen this one. Preorder away!!!! 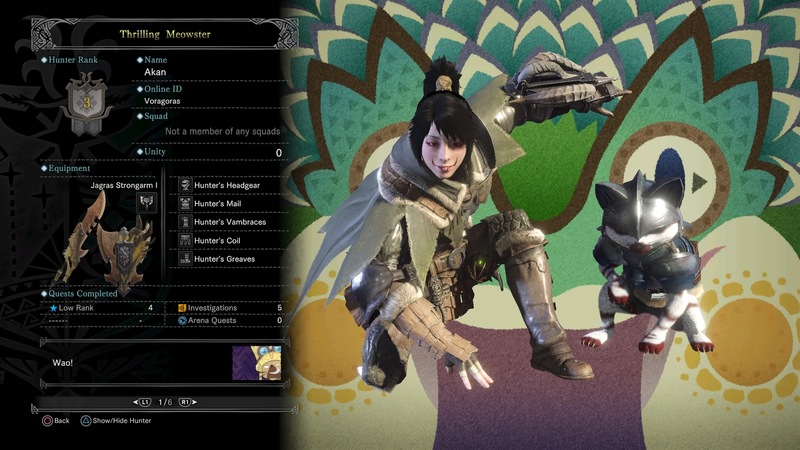 Akamanto wrote: Been playing MonHun World in the little free time I have between classes, jobs, and progressing on translation side projects - it's a great game, lot of fun! I love that you can create little cats, too. (*≧ω≦*) They're called "palicos", which is the best combination of lame and genius that all of the best puns have. Palicos is the lamest, most awesome concoction by a gaming developer ever! Haha! \*A*/ YOUR AVATAR/CHARACTER IS CUTE! SHE KIND OF RESEMBLES TSUBAKI FROM SOUL EATER! Also that's very exciting news about Super going on hiatus! Rather than the series just ending soon, it would be nice if there was a continuation. Basically a series like the Dragonball series should never end lol. Luu Sky Sapphire wrote: Playing what classic games here and there, while continuing my game in Uncharted: The Lost Legacy. I'm also planning on playing the entire campaign of the Tomb Raider reboot from 2013 in honor of the movie coming out this March! The film is based on the 2013 reboot, so I want to get into the mood. Plus I have a friend who has never played the Tomb Raider games. I'll be playing the campaign while she watches so we can get her into this movie properly. Watching the original two movies with Angelina Jolie don't help much. Alicia Vikander is going to make us forget about Jolie's performance, trust me on that! I remember playing Tomb Raider 2013 for the first time! I was a huge fan of the original games, so I was excited to see where they went with the reboot, and I wasn't disappointed at all. While there was some unique 90s charm to the instigating trilogy, I don't think it would've worked in the modern day, and I was glad to see Lara fleshed out into a real character instead of the walking repository of sassiness that she was when I was a kid. I liked the way they humanised her and made her feel that much more relatable. Luu Sky Sapphire wrote: Palicos is the lamest, most awesome concoction by a gaming developer ever! Haha! Heh, right? <(￣︶￣)> I love that the game lets you design your own cat! Another one of my characters has a cat that looks just like mine. I should show it to him, see if he recognises himself. Speaking of classics, I've been playing Legend of Zelda: A Link Between Worlds on the bus to class! Fun! I will be playing Life Is Strange: Before The Storm as soon as I pick it up from Gamestop. Yes, this will be my first time playing...PLEASE...don't be shocked. I ADORE the first game for it's brilliant writing and 4-dimensional female characters, but I just don't believe in buying and downloading episodes. Too DLC for me. It's always best to wait patiently for the physical copy, folks! You get everything without having to wait for a new episode. Plus, you could use the storage space. I'll post a photo of my copy of the Life Is Strange prequel soon!